Travel is so wonderful as it gives you experiences to remember and relish over a lifetime. I like to have little tokens of trips scattered here and there in my life as little remembrances. It can be as small and as simple as a ticket stub from a play we saw in London that I use as a book marker. 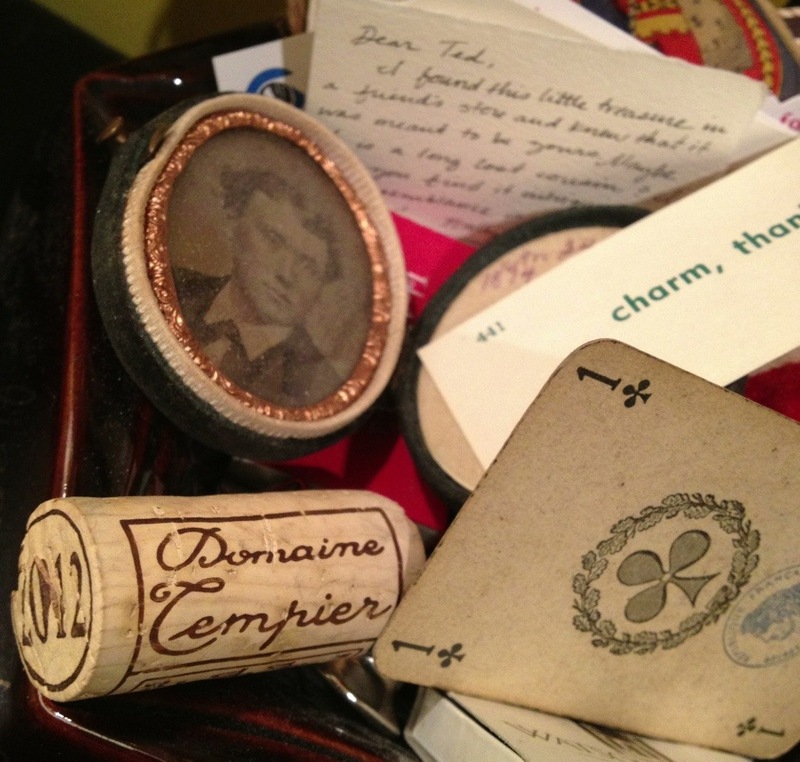 These little pieces of ephemera just take me back to the time and place, if only for a second. But it is a really glorious second. Same is true for corks from special bottles of wine we share on trips. I was so fortunate to have a special studio tour of artist Denise Fiedler while I was in San Francisco earlier this week. What a magical space. Look for a full post of it in the coming week. After the tour we went and had lunch at one of my favorite places in the world, Zuni. 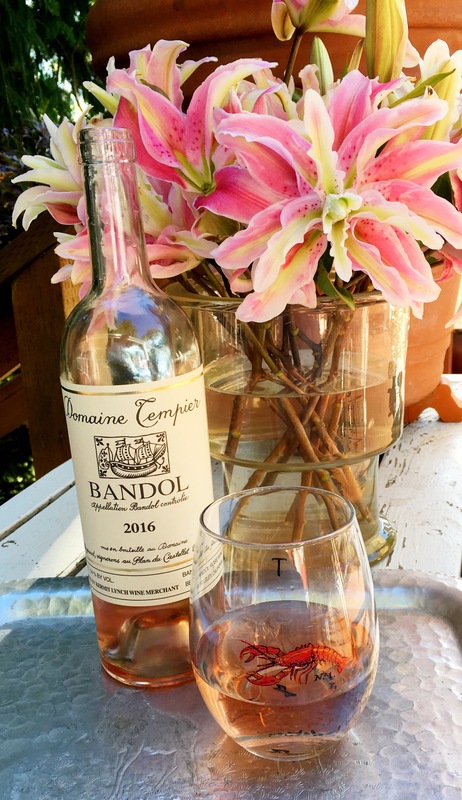 We shared a bottle of Domaine Tempier Bandol rosé. It was such a special morning touring her work space followed by a memorable lunch with someone I am so fond of–saving the cork from the bottle becomes a small reminder of the experience. I tucked it into a bowl I have on my desk at the shop. It will be such a lovely reminder as I glance at it from time to time. Wine Wednesday on this May Day continues with an entry of a very special bottle of wine from a very special family/vintner. 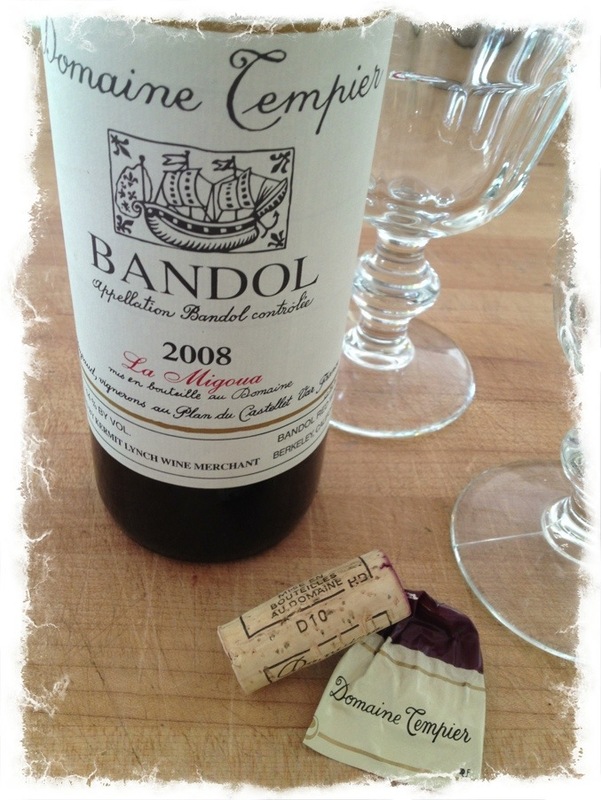 Wines from Domaine Tempier have been one of those bottles that we enjoy on notable occasions. These are not inexpensive wines, but are worth every penny. 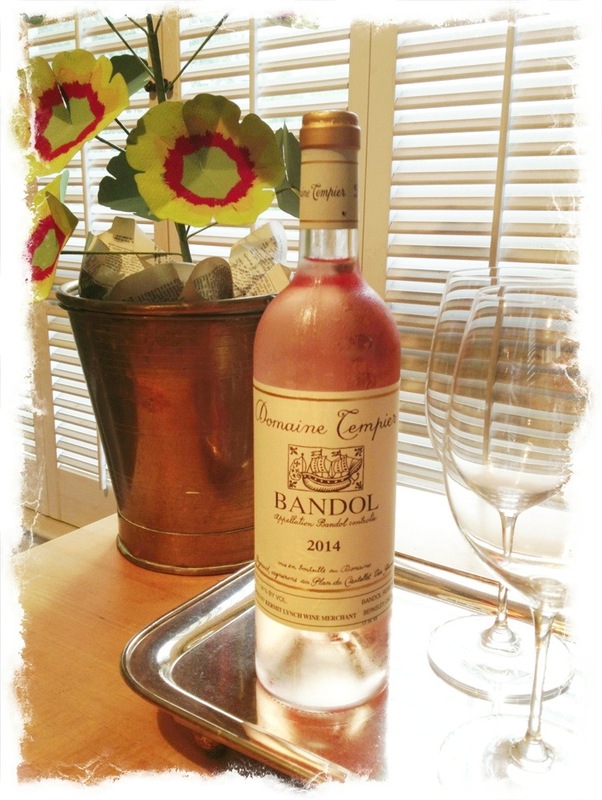 The Peyraud family is legendary in the wine world, producing world class wine from the Bandol region in France. Their rosé (once praised by Robert Parker as the greatest rosé in the world), is a real treat each time we enjoy a bottle. But we really like the reds that they produce too. The La Migoua is one blend that is a particular favorite. We had not yet toasted the finishing of my manuscript, and were waiting for the right time and the right bottle. Monday evening out at WestWard was the right time and this was the right bottle. We had it with a simple roast chicken I made, and it paired beautifully. Kermit Lynch, the noted wine importer who initially exposed the greatness of Domaine Tempier and the Peyraud family years ago to the States writes. 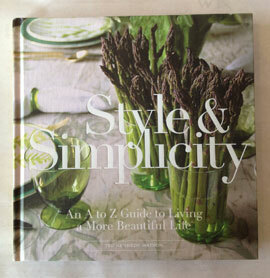 “If any wine can be said to have soul, it’s Tempier.” That quote could not be more perfect or more true.